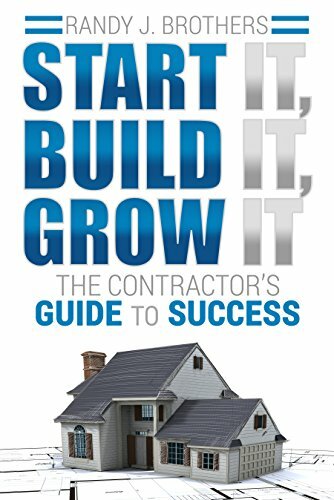 "Start It, Build It, Grow It: The Contractor's Guide to Success" was written by a contractor for contractors and is the only business book you will need to get your construction business off the ground and develop it all the way to scalability. The book also has everything you need to transform yourself from a contractor to an entrepreneur. The Contractor's Guide to Success includes real-life examples of how we used proven business processes to build a multi-million dollar construction enterprise. The content includes how to get your business started, how to understand the numbers, how to create a marketing/branding strategy, how to build a high-performance sales team, how to transition from working IN your business to working ON your business, and everything in between. The entrepreneurship and business principles written in this book are proven to help all types of trade contractors, from roofing and painting contractors to landscaping and service contractors. Anyone working in a construction company will benefit greatly from reading this book.